You know that you should guard your expensive electronic equipment. You don’t use your cell phone in the shower, you dive to catch a falling hard drive before it hits the ground, and you never leave a laptop in a hot car. And you certainly don’t toss your phone into a pool, run over your hard drive with a truck, or throw your laptop into a freezer. Right? Well, sometimes accidents happen. They don’t always have to be fatal to your gadgets, though — thanks to rugged technology. This type of tech used to be exclusive to the military, which has long developed ruggedized devices for use in the field. The MIL-STD-810 military testing standard sets guidelines. MIL-STD-108 tests show whether a product can withstand drops, spills, rain, pressure, dust, extreme temperatures, temperature shock, or various other harsh conditions. The products that can withstand such rigorous testing are “MIL-STD-810 Certified,” and are deemed rugged enough for use by the military, as well as in other dangerous professions such as construction, firefighting, and extreme sports. “Ruggedized” doesn’t mean the same thing for each class of hardware, however. For example, a laptop has to endure being dropped just 3 feet, while functioning, to meet MIL-STD-810 standards, whereas a cell phone typically has to survive being dropped over 6 feet, while functioning, to pass (the difference depends on how and where an average user operates the device). Fortunately for the average consumer, rugged products aren’t just for the military anymore; plenty of consumer-level products comply with the military standards. So if you need a laptop that you can shove off of a table or a phone that you can shower with, look no further — rugged tech is in the house. Now, let’s soak — and drop — some laptops. Many a laptop has met a premature death after falling off a desk or suffering a coffee spill onto the keyboard. Ruggedized laptops are designed to survive such trivial mishaps — and much more. The CF-30 has an ingress protection (or IP) rating of 65 — the 6 refers to its protection against dust and the 5 refers to its protection against water. Those numbers indicate that the CF-30 can withstand the dustiest and sandiest of conditions (think a sandstorm in a desert with winds of 70 mph), as well as the heaviest of rainstorms. Though you can take your Toughbook CF-30 into the shower with you (or, more realistically, use it in pouring rain), you can’t fully submerge it in water. Other durability features of the CF-30 include the ability to withstand extreme temperatures (from -20 degrees to 150 degrees Fahrenheit while operating), heavy vibration, and up to 300 pounds of directly applied pressure. The Toughbook CF-30 isn’t only rugged, however, as its creators thought of every extreme situation that potential users might find themselves in. For example, to make the display easily readable in bright or direct sunlight, the screen has 20 brightness settings, with a maximum setting of 1000 nits (standard laptops usually have display settings of less than 250 nits). The promised battery life is stellar, too, at over 12 hours on the lowest screen-brightness setting (but under 4 hours at the highest). In contrast, the average battery life of an all-purpose laptop is about 4 hours (the Lenovo T400 has the best battery life we’ve seen, 8 hours with an extra-large battery). For enhanced portability, the CF-30 has the option of mobile broadband as well as incredible wireless range — I was still getting service three San Francisco blocks from the PC World office network. The CF-30 comes equipped with an Intel Core 2 Duo processor, a 160GB shock-mounted and quick-release hard drive, a touchscreen (definitely a plus, since the waterproof trackpad is not very responsive), and a 13.3-inch 1024 by 768 XGA LCD — not a lot of screen space, but still a good-looking display. It has a built-in handle, as well, but at 8.4 pounds and nearly 3 inches thick, it’s not exactly the kind of laptop you’ll want to tote everywhere. 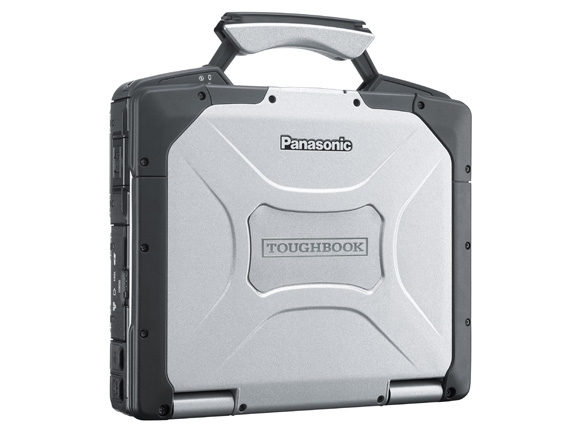 Unfortunately, rugged doesn’t come cheap: The Panasonic Toughbook CF-30 starts at $3,500. 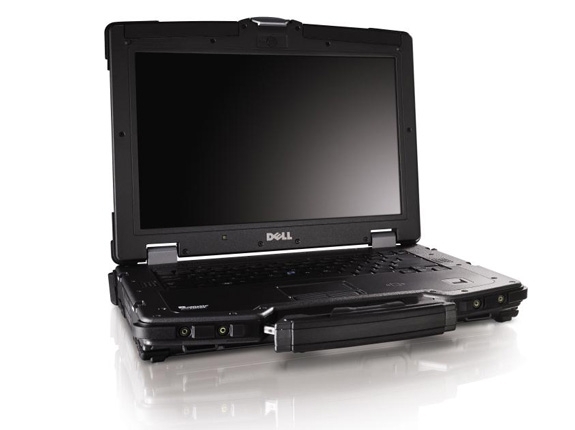 Boasting Dell’s “Ballistic Armor Protection,” which is purported to be about two times as strong as magnesium alloy, the E6400 XFR withstood our test drops of up to 4 feet while closed but not operating and up to 3 feet while open and operating. My test model didn’t have a touchscreen, though Dell offers a touchscreen option, which is convenient if you can’t be bothered with a mouse or you’re wearing work gloves. But the E6400 XFR’s touchpad and buttons were a little more responsive than those of the Toughbook CF-30. Dell touts the toughness of the XFR’s LCD as well, claiming that the screen can withstand the force of a 1-inch steel ball bearing dropped from a height of 3 feet. Having such a durable screen is excellent if you regularly work near falling debris or under the threat of hail.The E6400 XFR also features easy-access ports that you can open with one hand, as well as a built-in Webcam. Powering the $3,639 Latitude E6400 XFR is an Intel 45 Express chipset. The system also sports a 14.1-inch 1280 x 800 WXGA display with 15 brightness settings, a 120GB hard drive with a free-fall sensor, Wi-Fi, up to 8GB of RAM, optional mobile broadband, and dedicated GPS. Dell says the battery should last about 6 hours. 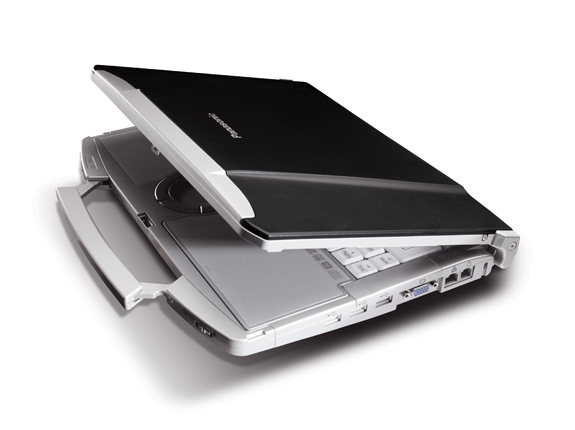 Like the Toughbook CF-30, the E6400 XFR weighs 8.5 pounds; but at less than 2.5 inches, it is thinner than that Panasonic machine. The Panasonic Toughbook CF-F8 is a “business-rugged” laptop designed for users who travel often, occasionally spill things, and tend to be a bit clumsy in general. Unlike the laptops in the previous two slides, the Toughbook CF-F8 is not built to withstand rainstorms, deserts, and serious drops — rather, “business-rugged” means that the CF-F8 will hold up a little better than a regular laptop. The keyboard is fully waterproof and can easily survive coffee spills — drainage holes let liquid flow out the bottom of the laptop. The CF-F8 withstood our test drops of up to 2.5 feet, and it can take 220 pounds of direct pressure. Like the Panasonic Toughbook CF-30, this laptop has a built-in handle, a drop-resistant casing, and a water-resistant keyboard. The round touchpad features a circular scrolling capability (much like an iPod’s click wheel) for moving through long documents. The CF-F8’s specs are fairly basic, consisting of an Intel Core 2 Duo processor; a 160GB, removable, shock-mounted hard drive; a DVD drive; a 14.1-inch, widescreen, 1280 by 800 LCD; 3GB of RAM; and Wi-Fi. Some of the cooler options include integrated Gobi global mobile Internet and a fingerprint reader. At 3.7 pounds, the CF-F8 lands in the ultraportable range, and is much lighter than the fully rugged laptops previously discussed. Its base price is $2,400. If you’re in the habit of carrying around top-secret government files under rain, through mud, and over concrete, you might want to look into a ruggedized hard drive. Shock-mounted and able to withstand falls of up to 10 feet (while not operating — as hard drives contain moving parts, it’s best not to drop them while they’re running), ruggedized hard drives are just the thing for James Bond … or for the average user who occasionally drops electronics and spills things on them. 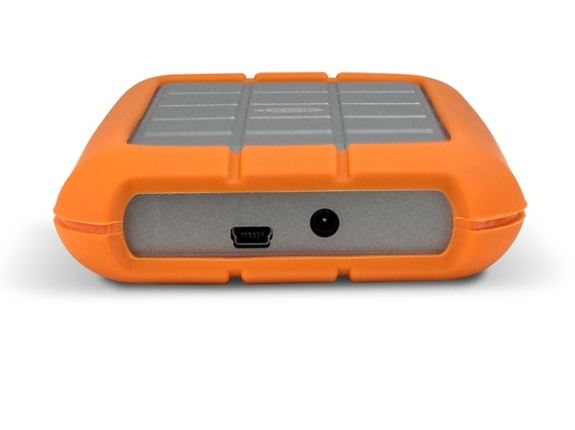 The Hitachi SimpleTough drive is one of the most rugged portable hard drives for sale in the United States. Its black and gray casing is well designed and silky-smooth, a sleek exterior with rubber shock bumpers. The drive also has an attached USB cord — perfect if you’re not only klutzy but prone to losing things. 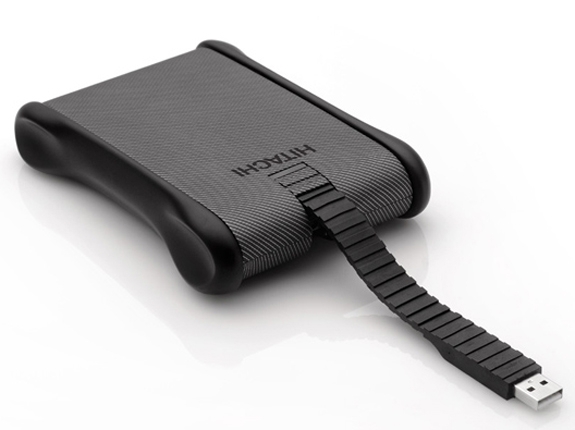 In addition, the SimpleTough is water-resistant (providing that you keep the USB cord snugly fitted into the device). Hitachi says the device can also survive up to 1 ton of pressure and can withstand drops of almost 10 feet. If you love your data but you also love the great outdoors, you might consider this drive, which could easily accompany you while you’re canoeing, hiking, mountain biking or rock climbing. Decked out in a removable orange rubber bumper, the LaCie Rugged Hard Disk seems prepared to withstand a few drops here and there — but not much more, as its brushed-aluminum shell looks somewhat delicate. The Rugged did survive our test drops of up to 7.2 feet while not operating. The drive is lightweight (only 8.8 ounces) and portable (3.5 by 1.0 by 5.7 inches). Its “scratch-protected” aluminum casing is unfortunately not scratch-proof; when I took a key to it, well, let’s just say the surface was no longer pristine. Many digital point-and-shoot cameras are waterproof these days — the market for snorkel-vacation photography is booming. 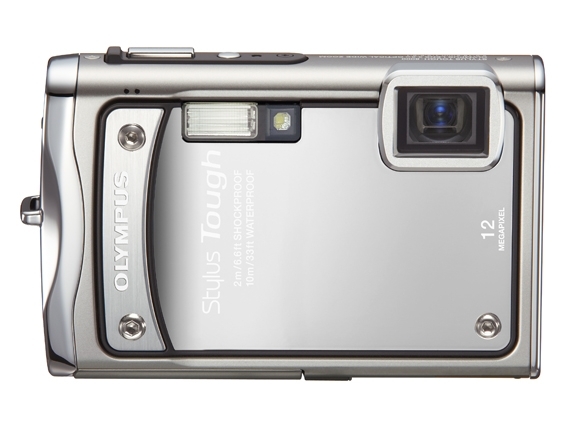 But not all waterproof cameras even come close to being rugged. Dropping a camera often dislodges the lens, causing expensive damage. But let’s face it: People want to be able to record every Kodak moment,and they’re not about to let rocks, dirt, water, or anything else get in the way. Rugged cameras are designed for outdoorsmen — skiiers, rock climbers, scuba divers — and anyone who wants to bask in the elements and record said basking. Cell phones are ubiquitous these days — almost everybody pockets one before leaving for work. But what if your job is more extreme — you’re, say, an X-Games athlete, a construction worker or a surfer — and you need a more durable phone? Makers of rugged cell phones say their products can withstand drops of over 6 feet, can function while submerged in water, and can resist sand and dust. 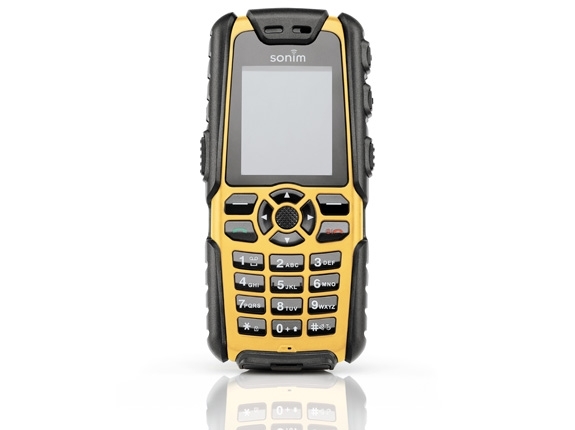 Though Sonim only recently made its phones available in the United States, the company’s reputation precedes it. Sonim’s phones have survived elephants, cars, bullets, you name it — causing buzz all over the Internet and on YouTube. The MIL-STD-810 Certified XP3 Quest is purportedly one of the world’s toughest cell phones. While functioning, this non-smartphone can take a drop from a height of 6.6 feet and can remain submerged in water up to 3.3 feet deep for 30 minutes — though the call quality isn’t terrific underwater. The phone’s maker claims that it boasts a talk-time battery life of 18 hours (BlackBerrys, which have the longest talk time among consumer phones, range from the Storm at 7 hours, 39 minutes to the Pearl 8120 at 9 hours, 43 minutes); on top of that, Sonim says the XP3 should last for 1,500 hours of standby time and charge fully in only 2 hours. The phone also operates in temperatures ranging from -4 degrees to 131 degrees Fahrenheit, according to the company, and it has built-in GPS — so if you get lost in the Rockies, you’ll have plenty of time to navigate your way out. Story copyright 2009 PC World Communications. All rights reserved.